First off, congratulations to emilygum, this month’s blog winner! We will contact you via Ravelry to arrange for the delivery of your prize, your choice of Jumbo Birch knitting needles or crochet hook. 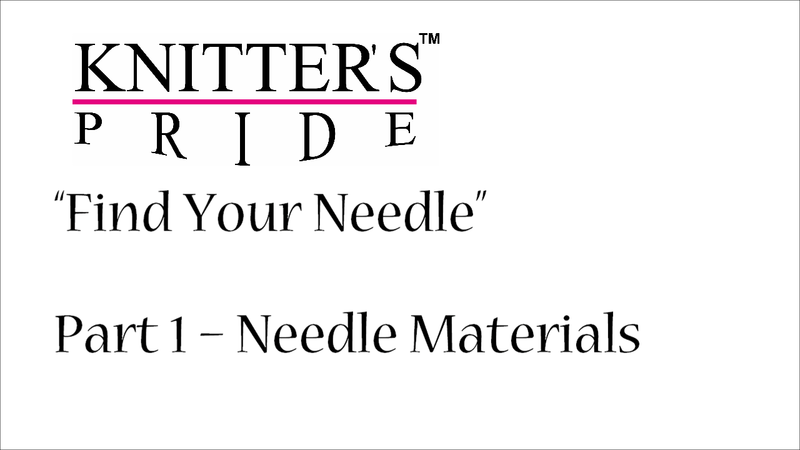 We’ve had a lot of customers ask us when 9” fixed circular needles would be added to the Knitter’s Pride lineup - if this is something that you’ve been anxiously awaiting, you are in luck! We’ve added 9” circumference needles to our Dreamz and Nova Platina lines in a variety of sizes, and they should be arriving at an LYS near you this fall (click here to see what else is new for this fall!). Many knitters prefer to use 9” fixed circular needles to knit projects such as sleeves, socks, preemie hats and doll clothes, but did you know that they are also excellent for swatching in the round? If you’re a fan of knitting seamless projects in the round, it’s best to also knit your initial swatch in the round as well, instead of knitting a swatch flat as many of us do. This is because purling on the wrong side can affect your flat swatch gauge differently than if you were to knit your stockinette swatch in the round, because you would only be working a knit stitch on the right side. The above swatch project uses our 9” Nova Platina fixed circular needles and a skein of Kraemer Jane yarn. Everything fits neatly in our new Amber fabric and vinyl zipper pouch, which is perfect for small projects such as this. The Amber bag shown here is part of our new line of hand-printed fabric bags for fall. This zipper pouch keeps your project safe while on-the-go, and it’s easy to see what’s inside because of the clear vinyl side! Click here to see the variety of shapes, sizes, styles and prints which will be arriving at an LYS near you this fall. September is here, and with cool temperatures just around the corner, it's time to plan your next project. Not only are chunky knits and crochet projects in style this season, they're also fast and fun to make - and easier than ever with our new Jumbo Birch needles and crochet hooks. 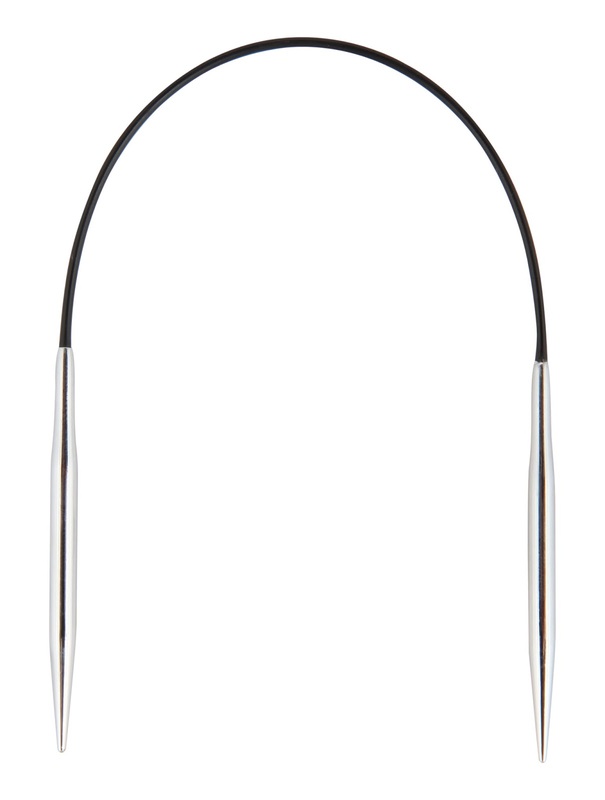 14" Single Pointed Needles in US 36 (20.0 mm), US 50 (25.0 mm), 30.0 mm and 35.0 mm sizes. 8" Double Pointed Needles in US 36 (20.0 mm) and US 50 (25.0 mm) sizes. 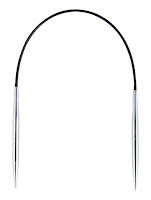 32", 40" and 47" Fixed Circular Needles in US 36 (20.0 mm), US 50 (25.0 mm), 30.0 mm and 35.0 mm sizes. Also new this season are Jumbo Birch single ended crochet hooks in 20.0 mm, 25.0 mm, 30.0 mm and 35.0 mm sizes! Jumbo Birch Crochet Hook with one of our new hand printed fabric canvas project bags. We've picked out some great free knit & crochet patterns from Ravelry to inspire you to start - and maybe even finish! - something new this weekend. From L-R: The Gathering by Kalurah Hudson, Eleventh Hour Scarf from Purl Soho, and Dark Woods by Caitlin ffrench. From L-R: Endless Cables Chunky Knit Throw by Jessica Reeves Potasz, Billowy Ocean Wave Rug by Stacy Tavassoli, and Chunky Garter Blanket by Mari Chiba. From L-R: Instant Decor Pillows by Janette Higgins, Chunky Yarn Outdoor Rug by Stacey Williams, and Le Pouffe by Julie Philip. From L-R: Jumbo Triple Luxe Cowl by Stephanie Jessica Lau, Cobweb Scarf by Jennifer Hansen, and The Crocheted Canadian by Karen Clements. Leave a comment telling us your favorite big stitch knit or crochet pattern for your chance to win your choice of Jumbo Birch knitting needles or crochet hook! Be sure to also mention your Ravelry ID or email address so that we can contact you if you win and provide a list of items to choose from. We'll randomly select a winning comment to announce on our next blog post on Friday, September 23. Good luck!